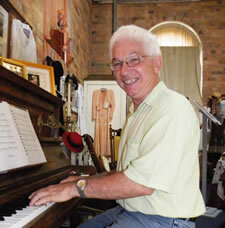 At the Maryborough Military & Colonial Museum, expect the unexpected! Display items range through the full spectrum of our military and colonial roots. The museum has two of the most historically significant medal groups to Australian soldiers for the Vietnam War  1964 to 1973. The Museum now has the largest collection of original Boer War medals on display in Australia. Read more about our Boer War display. Our extensive library houses many forms of written historical data including over 2,000 books, primarily of Australian and New Zealand military history, dating from pre Boer War and pre Federation to the present. Hundreds of files are made up of original military documents, photographs, serviceman's diaries, newspapers, periodicals, maps and correspondence. Using the detailed computer cataloguing system, any book or file may be found by using author's name, subject, family name or period. More about the library! Premier and embassy representatives to attend opening on July 21st. Queensland Premier Annastacia Palaszczuk, representatives from four embassies and senior military officers will be in Maryborough on July 21st for the opening of Gallipoli to Armistice, a spectacular tribute to the original ANZACs. The unique complex tracing the journey of the ANZACs through the Great War will become a Queensland landmark and a memorial of national significance. Queen's Park Military Trail Project Committee president Nancy Bates said she was delighted Ms Palaszczuk would be at the opening as the Queensland Government had contributed a million dollars to the project. 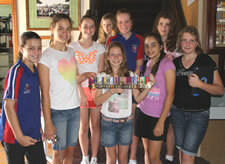 Excited students from St. Patricks College in Bundaberg holding medals. More information about school visits! Scale models in varying sizes and scales, up to 1.5 metres long and wingspans of 2 metres, are on show at the museum. WWI right up to present day hits.